The beginning of Altaica was pretty slow, but didn’t much bother me as I expect this from a fantasy story. However, there is almost no real plot in the first part and a marked absence of world building. In fact, I was surprised at how little world building is in the first part of the book. At first I thought that the book was going to be an adventure story, because Isaura and her friends were escaping an invading army on a boat, but the later parts of the book have little to do with the boat trip except for that was how Isaura traveled to Altaica. Most of the first part only seems to show the racism and judgment targeted at Isaura, and set up some petty jealousies among the group of people on the boat. The second and third parts are all about Altaica’s political intrigues and magic, and these are the strongest elements in the book. The plot really picks up in the second part and the world of Altaica becomes a lot clearer, so the book improves considerably. 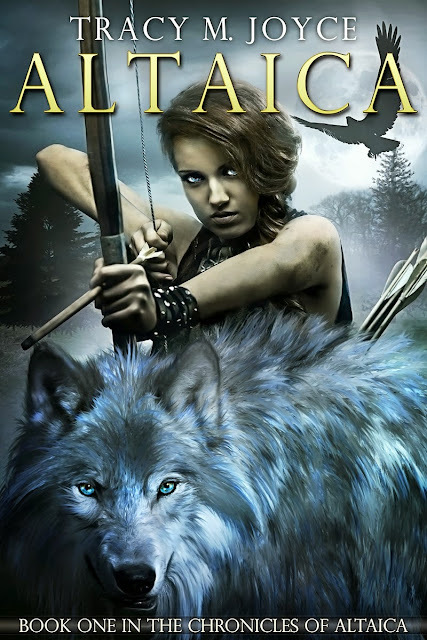 I really enjoyed the almost Native American feel to the clans and spiritual magic of Altaica (although the author states that Altaica is based on a Turkish myth). However, there are still aspects of the division on the groups of people that is still confusing to me and I think the author needed to do a little more world-building and explaining, rather than focusing the first part on the boat trip. The blurb of Altaica is a little misleading, because Isaura is only one of the central characters, and Altaica offers much more than only Isaura’s story. While the first section concentrates on Isaura, the second and third sections have a far larger range of characters and Isaura is basically a backdrop to the rest of their stories. Though the ending of the first book does indicate that Isaura has a larger part to play in the second book. I enjoyed the other characters introduced in the later parts of the book much more, especially since some of the people with Isaura seemed shallow and closed-minded. The interactions between the members of the Bear and Horse clans were some of my favorite parts of the story. Asha was my favorite character with her slightly rebellious nature and grit and determination. I also loved the two leaders of the Bear and Horse clans. However, I did think that the two main villains, Elena and Ratilal, were a little too one-dimensional. Overall, Altaica was a strong debut, even though it had a few flaws. It was also a very quick read at only around 250 pages. I would recommend this to anyone who wants to read a quick fantasy with a little mysticism and adventure thrown in. I would warn that the beginning is a little rough, but if you tough it out, you’ll probably enjoy yourself.